Central location, very well cared for home, move in ready with great curb appeal! 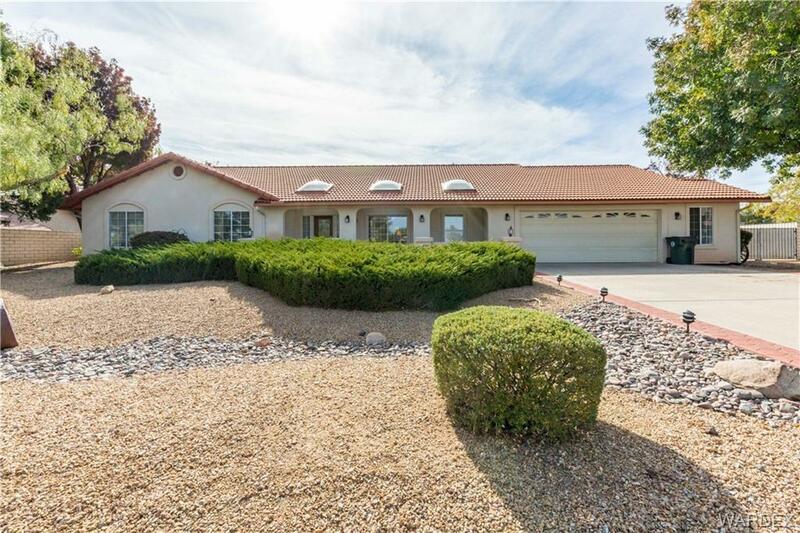 Massive over sized attached garage that is double deep, extra wide with it's own bathroom, tons of cabinets and an bonus room for more storage space. Out back there is an even more colossal RV garage with wash sink, cabinets, attic storage, with a 12 foot RV bay door and two 8 foot doors one, on the side. This wonderful property is on half an acre with three large access gates. Large covered patios on both front and rear of home makes for endless options for outdoor space. Beautiful garden, tool shed, mature and easy care landscaping. Two bedrooms plus den or potential third bedroom, over 2200 square feet of living space and tons of storage inside. Master suite features no nonsense bathroom with a full vanity, walk in tile shower, and large garden tub. This house has so much storage you could rent space to your neighbors! This is a must tour to fully appreciate home!